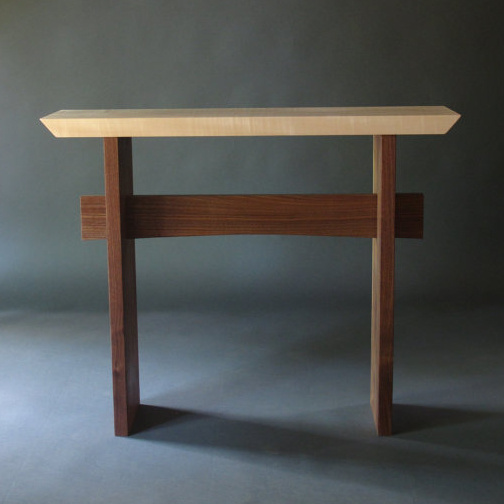 Modern, Narrow console tables, entry tables and hall tables. Media storage Furniture. Handmade custom wood furniture. 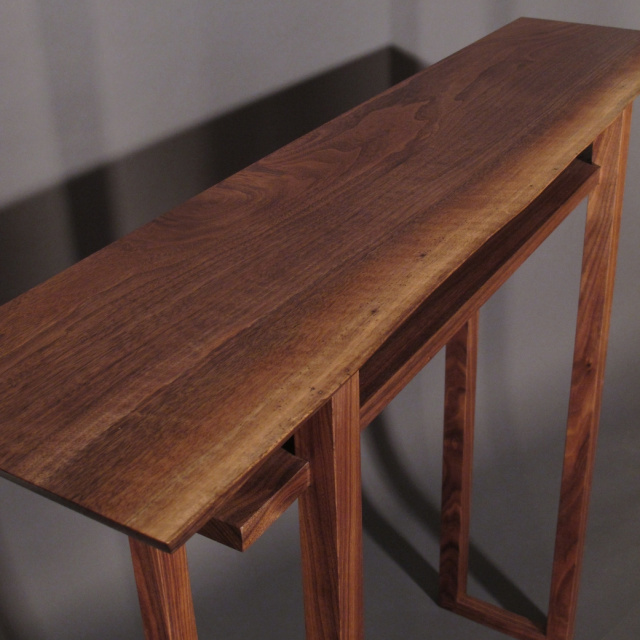 Mokuzai's Signature Table. 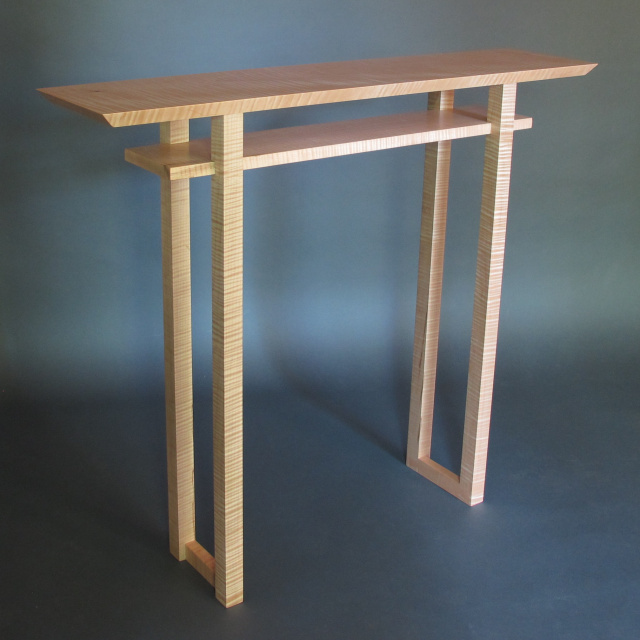 A narrow hall table, entry console table or narrow side table. Mid century modern furniture styling. 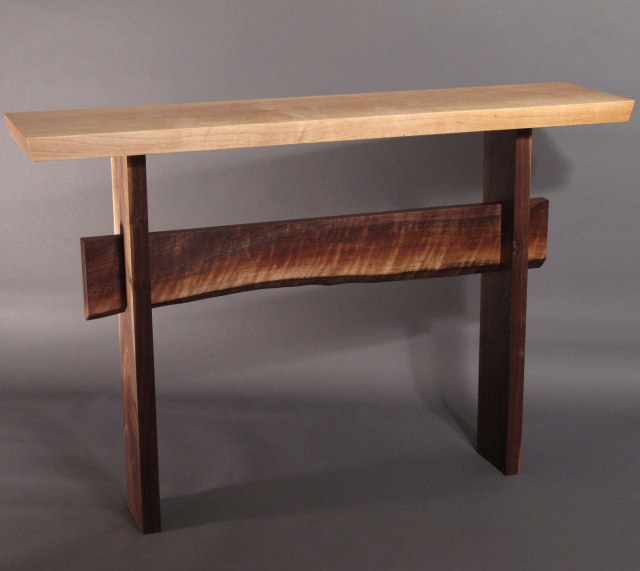 A long narrow console table with a gently curving table top. 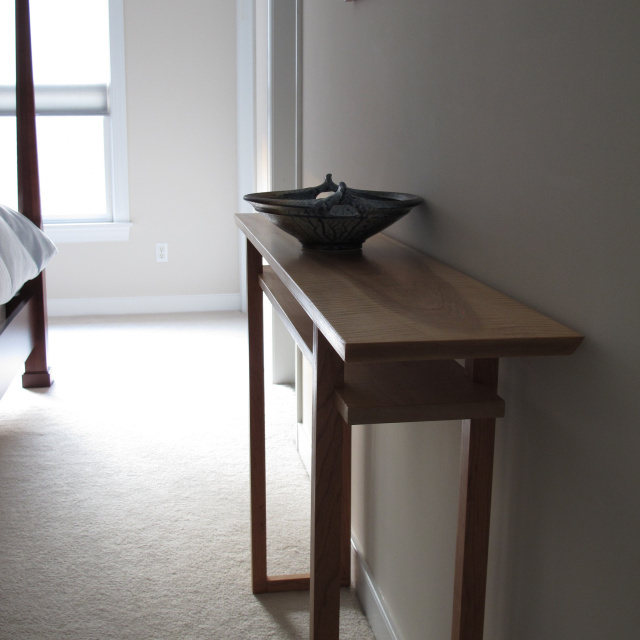 For a hall table, sofa table or bench at the end of the bed, with fine craftsmanship details. 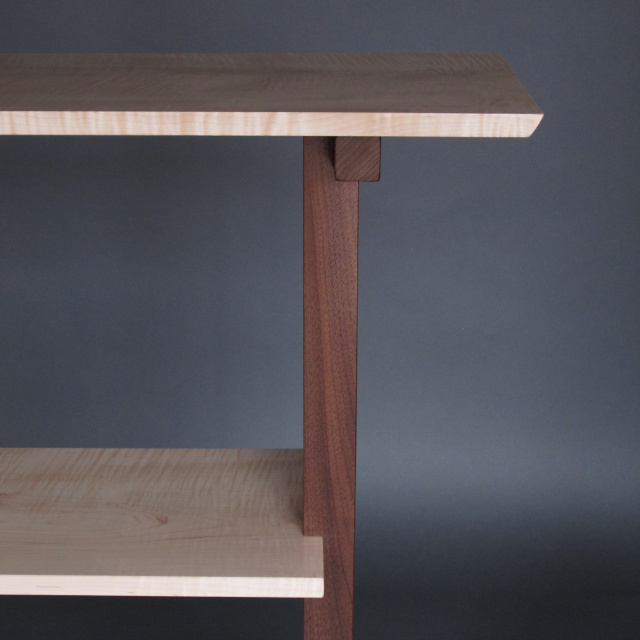 A narrow, solid wood console table with two shelves. 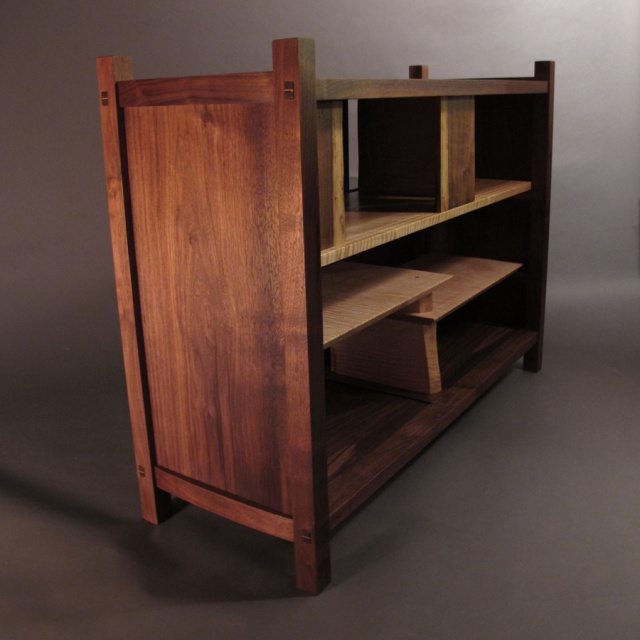 Hand-cut joinery, mid century modern furniture styling. Available in 5 wood options. 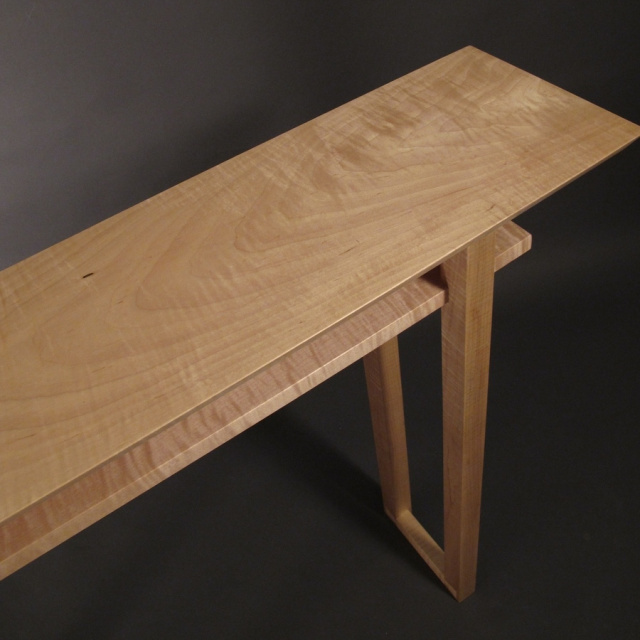 A side table with live edge stretcher for narrow hallways, entry consoles and artistic accent tables. Modern wood furniture with natural elements. Media storage tower. 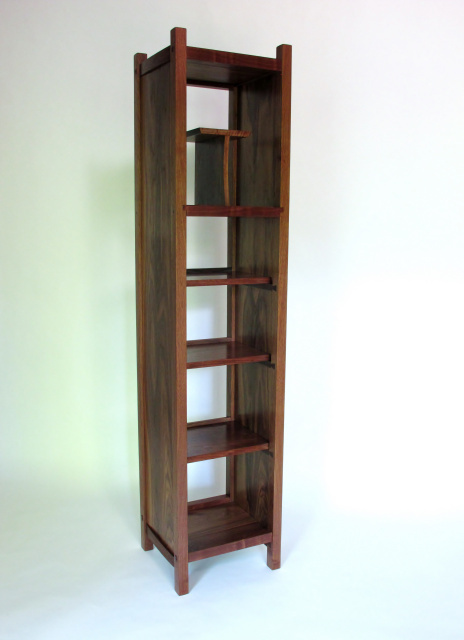 Tall, Narrow, Open shelving for entertainment components, bookcase, and display. Wood furniture for modern living. 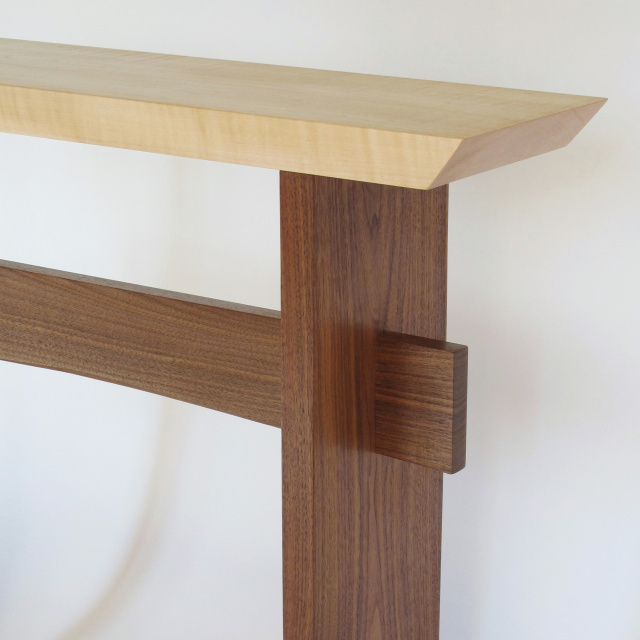 A narrow, zen entry table or small console table. Modern wood furniture- 2 wood combinations available. Pictured in Maple and Walnut. Our popular Classic Table design is now available in an extra narrow option for those tight spaces. 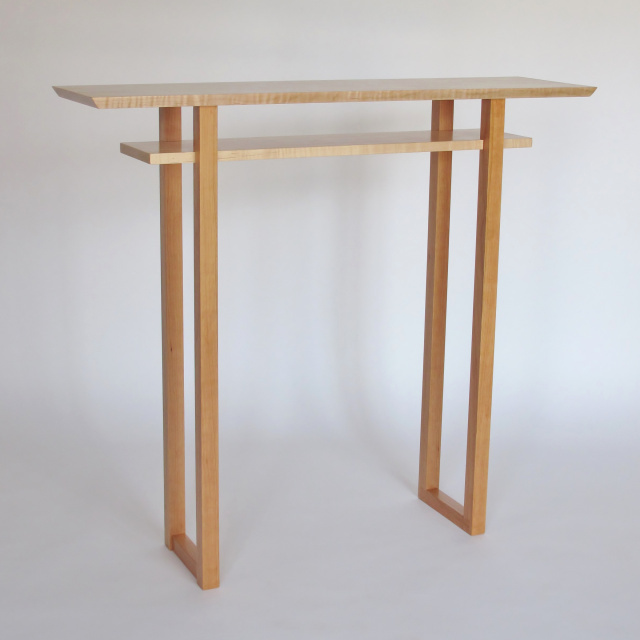 A minimalist console table for hallways, an entry table or side table. A narrow vanity table, hall table or entry table. Simple and slender with an inset shelf. 5 wood combinations available. 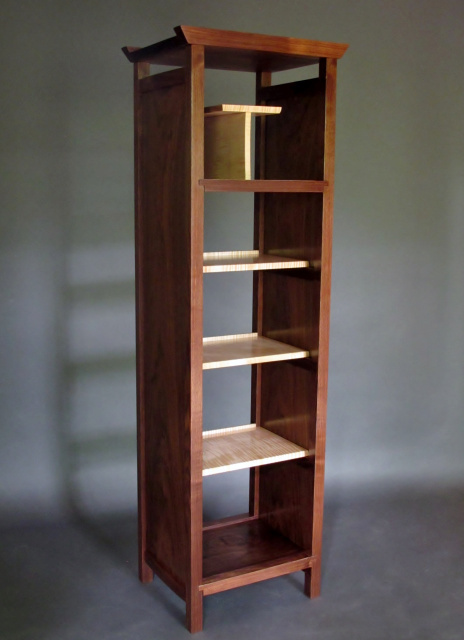 Entertainment center/ media tower/ Mid century modern bookshelves. Open shelving for entertainment components, bookcase, and display. Our narrow hall table with clean, modern furniture lines for your entry console table or narrow side table 5 wood combinations available. Our Classic Console redesigned with a lowered shelf for more display options. An narrow sofa table, hallway table or side table with modern furniture styling. Delicate sliding doors. Unique Display Shelves. Alternating open back. Hand-cut joinery details. Mid Century Modern Wood Furniture- Pictured in Walnut and Tiger Maple. 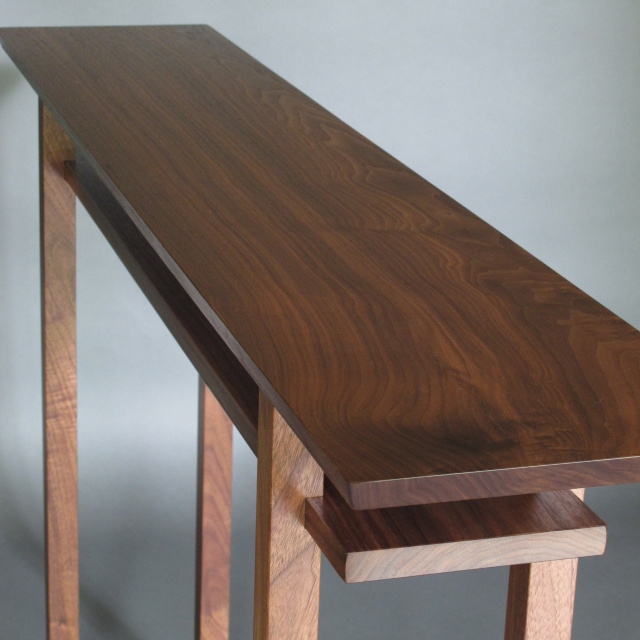 A narrow walnut console table with a unique live edge table top. Natural decor touch with minimalist modern styling. Need the measuremenrts adjusted? With our custom table option, it's easy to get the perfect table for your space. 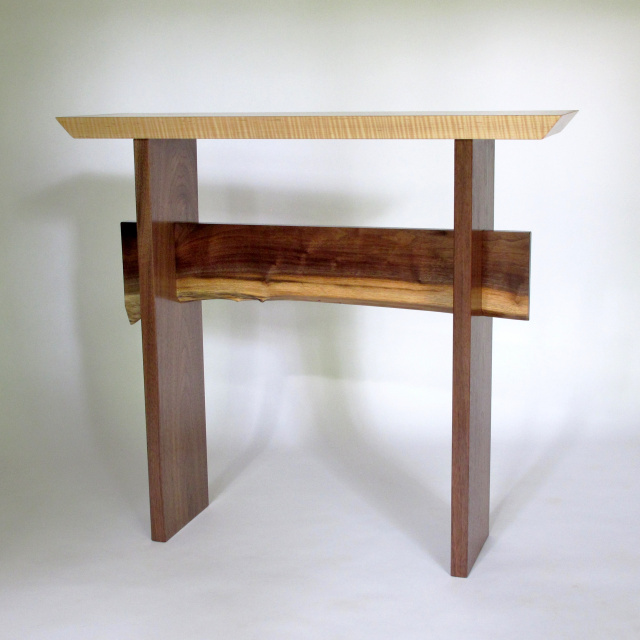 A tall walnut console table with live edge for a hall table, wood entry table, or side table. Minimalist wood furniture design that works with many interior stylings. Buffet Table or Console Table with Live Edge Stretcher. Modern Zen handmade table. A narrow table is a must have for any space. Along a hallway or behind a sofa, our console tables offer an artistic place to display family photos, set down the mail, or serve a dinner party. Our clever media storage options bring art and function together so your furniture can be useful and beautiful.